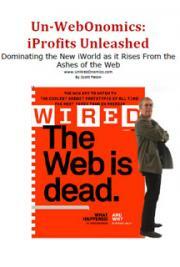 The Web is dead! Long live the UnWeb! Download this FREE e-Book, and discover how to take advantage of the movement away from websites, and onto mobile platforms! Learn proven strategies for making your mark in the fast-growing mobile market in easy-to-read style. Download this FREE e-Book today!